Bell Motocross helmets belong to the safest on the market. Top Athletes such as Eli Tomac and Adam Cianciarulo use these helmets while battling for the top step of the podium. The Bell motocross helmets always have been a frontrunner of new technology. Check out the current 3 models of the Bell collection below. 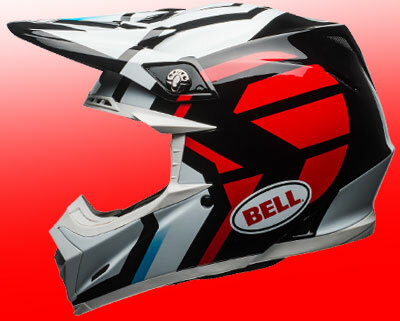 Currently the revolutionary Bell Moto-9 Flex is one of the best motocross helmets available. 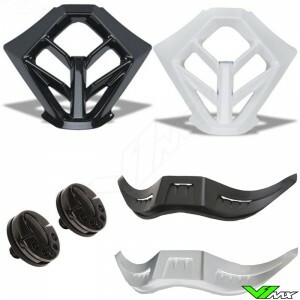 It has a unique 3 progressive layering system that protects the riders head from low, mid and high-speed impacts. It also has a rotational damping system which manages not only linear impacts but also angular impacts. The inside is constructed of multiple panels that adjust to the shape of your head, so you will always have a good fit. 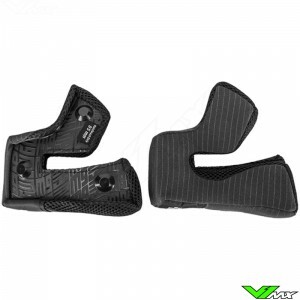 The Moto-9 flex achieves new levels in terms of protection and comfort. 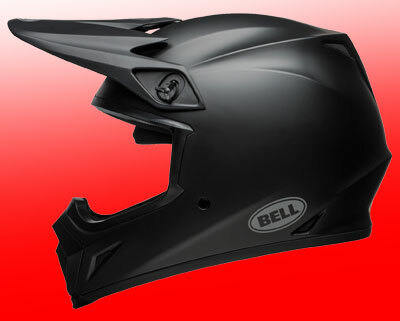 The Bell Moto-9 is the middle model and suitable for advanced motocross riders who need a good motocross helmet. For years the Bell moto-9 was part of the equipment of many professional motocross riders in the American supercross and motocross championship. Thanks to the innovative construction and best materials, the moto-9 achieves excellent levels of comfort, protection and performance. The latest Moto-9 models are equipped with MIPS. The MIPS system ensures that rotations on the helmet are not immediately transferred to the head of the riders. As a result strain levels in your head and brain are lower, which reduces the risk of concussions or other head related injuries. The last and cheapest model is the Bell MX-9. 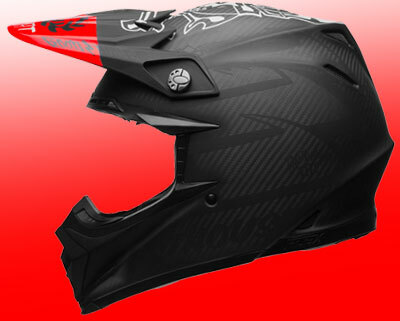 This motocross helmet offers excellent performance compared to competitors from this prices range. 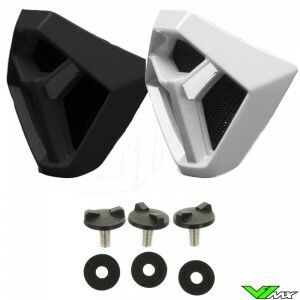 It is equipped with an innovative ventilation system for a cooling effect during riding. The MX-9 also scores high in terms of protection with the MIPS damping system and the use of innovative material and production techniques. 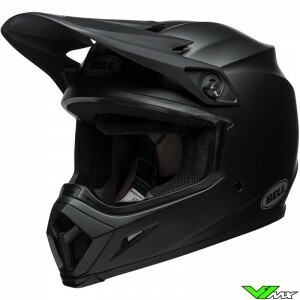 In addition to the standard motocross helmets, Bell also produces a motocross helmet with visor, called the Bell MX-9 Adventure. The MX-9 adventure is suitable for changing conditions: from high speeds to low speeds, from road use to muddy offroad conditions. 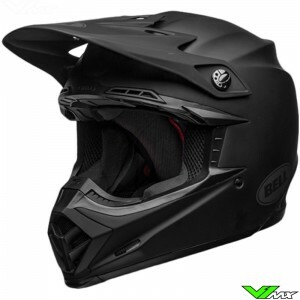 The Bell MX-9 adventure is a perfect enduro helmet for riders who are looking for an affordable product that can be used in multiple disciplines. 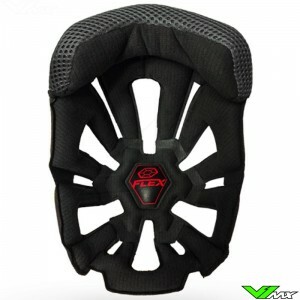 We at V1mx are motocross riders ourselves and that is why we know how important it is to wear good quality protection. The bell motocross helmets have proven to offer the highest level of protection. Not only with linear forces, but also for rotation effects, the Bell motocross helmets are one of the most protective on the market. To provide optimal protection it is important that the helmet fits well. 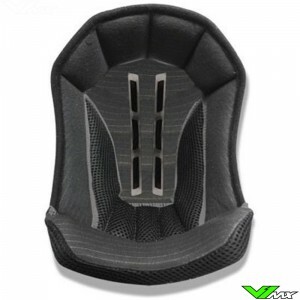 At V1mx you can easily find the sizes of the Bell motocross helmets by clicking on the product you want to buy. On that page you will find the ‘size chart’ in which the information is displayed. If it doesn’t fit well you can always return or exchange the items. 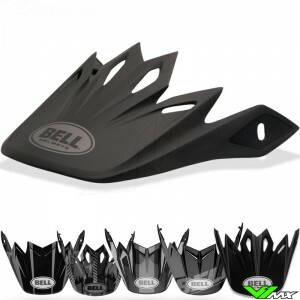 Bell works with major brands from the offroad world to bring out the most amazing designs. Fasthouse and Seven have their helmets made by Bell. This collaboration has resulted in a beautiful collection of helmets with special designs. 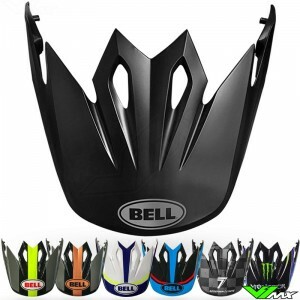 There is also a collaboration with the Pro Circuit team, which makes Bell one of the few brands that produces Monster Energy motocross helmets. Bell has a wide choice of colors and designs so you can always find a helmet that suits your style. Are you looking for a helmet, but have a question about the products or ordering the products? 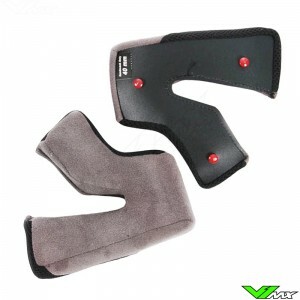 Please feel free to contact V1mx, we are happy to help you choose the right motocross protection.